A presentation that concentrates the whole tradition of coffee in a few tablespoons that will make you seize your time without sacrificing the flavour of your Maxespresso Gourmet Coffee. Routine has made us forget those little tastes that we reach only with the necessary time. Instant Coffee of Maxespresso Gourmet Coffee comes to give us that delight that does not rob us of time, but gives us pleasure just by stirring. 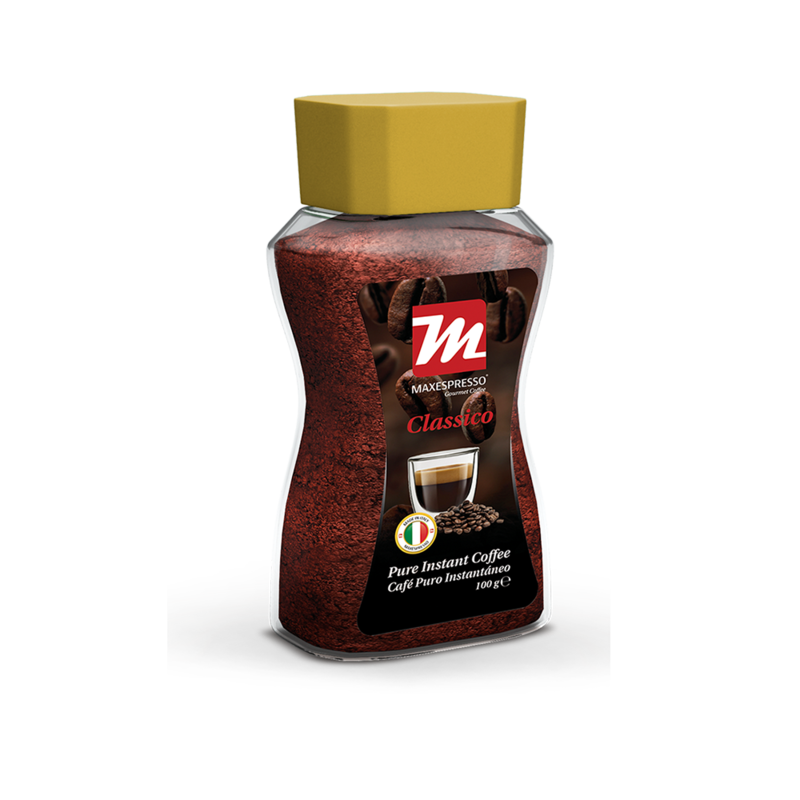 The delicious flavor of Maxespresso coffee ready in a second! Add one spoon of instant Maxespresso coffee to a cup of water or milk and enjoy! Your only worry is to decide: Cold or Hot? As good coffee lovers we think in every detail, that’s why we created our Maxespresso Gourmet Coffee Pure Instant Coffee.